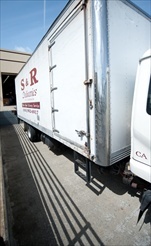 S&R Delivery is a full service white-glove furniture delivery company. We provide a personal, professional, and courteous service throughout Northern California. We understand the importance of choosing the right delivery service for all your professional needs. Our qualified staff provides the utmost safety and responsibility in delivering your fine furnishings. As a representative of your firm, customer service towards your clients is our key to success.